Fall is approaching fast, and the holiday season will soon be upon us! 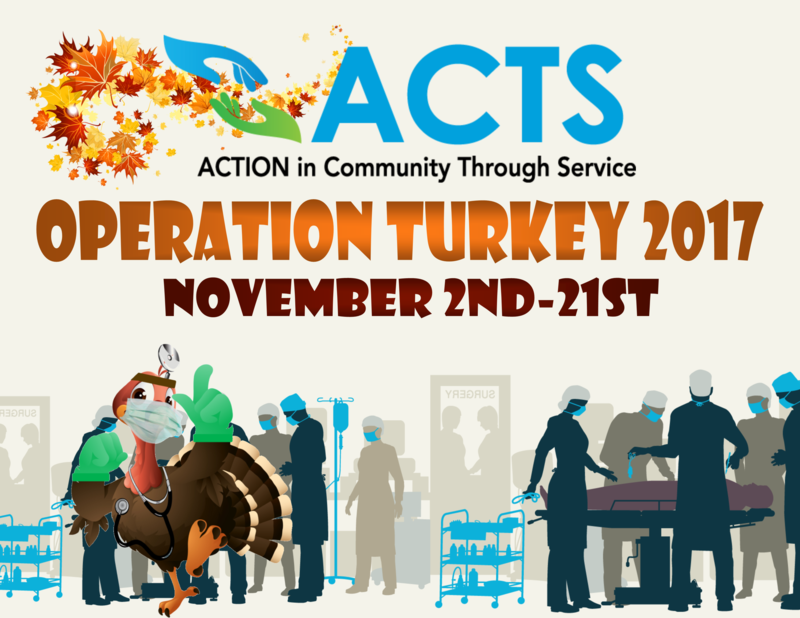 Many families in our area will be without basic essentials during the upcoming fall and winter months, and we'd like to let you know more about how ACTS' Operation Turkey is our way of combating hunger for our neighbors in November. Operation Turkey is ACTS' largest annual food giveaway, and during this event, we provide Thanksgiving staples such as stuffing, cranberry sauce, and instant potatoes to low income families who visit our food pantry. This food is provided from organizations, businesses, churches, and local donors like yourself to ensure no family in our area goes without a holiday meal. In 2016, the Food Pantry served 818 families, giving out 1,049 Operation Turkey bags, each weighing about 12 lbs. The pantry distributed over 72,000 pounds of food, of which over 12,000 pounds consisted of Thanksgiving staples. In addition, each family received a $10 gift card from a local grocer to put towards the purchase of a turkey. The ACTS Food Pantry is appreciative of the participation and generosity of those who supported this event last year, and hope that you'll consider making a similar donation this year! *Pre-assembled bags are unnecessary, thank you. 17950 Dr. David Cline Lane in Dumfries. We ask that all donors bring in their donations by October 13th. This will allow us an ample amount of time to sort through food and assemble bags for the families we're excited to serve. We will be giving out food to families during our Food Pantry's hours of operation from November 2nd through the 21st. If you are aware of any clubs or organizations that may be interested in participating in our food drive, we would greatly appreciate you forwarding their details. We would also be happy to provide flyers, posters and other promotional material to help you spread the word. If you know of anyone who could benefit from this, please feel free to direct them to our organization. We're here to help! If you would like to help us expand our Hunger Prevention Center, which will be an extension of ACTS' Food Pantry program, a monetary donation is always appreciated. Click the link above to learn about how you can donate to this vital program, which will allow to further case management and educate the public on healthy eating choices, and most importantly, will help us continue to provide relief our Prince William County neighbors in crisis. If you would like to volunteer for ACTS' Food Pantry this year, we'd love to have you. Simply click the button to learn more about volunteering opportunities during Operation Turkey! If you know a friend or family who would be interested in donating to this cause, or if you know someone in need, please feel free to give them the attached flyer. 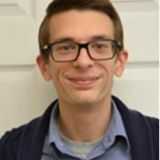 At ACTS, we're here to help all of our Prince William area neighbors when we can.